Since the dawn of the Internet as we know it, banner ads were viewed and exploited as one of the most effective ways available for marketers and advertisers who needed to present their products or services to their customers. However, every industry evolves and adapts to the market based on customers’ attitude and of course, the present trends. Therefore, while banner advertising may prove to be a great choice, in the end, your results will depend mostly on how you manage to adapt to your own present market. In order to adapt, you need to know how. You need to possess the knowledge, the theory and the method altogether. This is why we’ve collected the following data and came up with a series of useful information that might help you navigate the murky waters of display advertising. To this end, we’ve gathered data from more than 200k users and we have analyzed over 950k banner ads between January and May 2018. This information allowed us to answer some of your most troublesome questions, thus helping you to get a clear view of today’s trends in banner advertising. 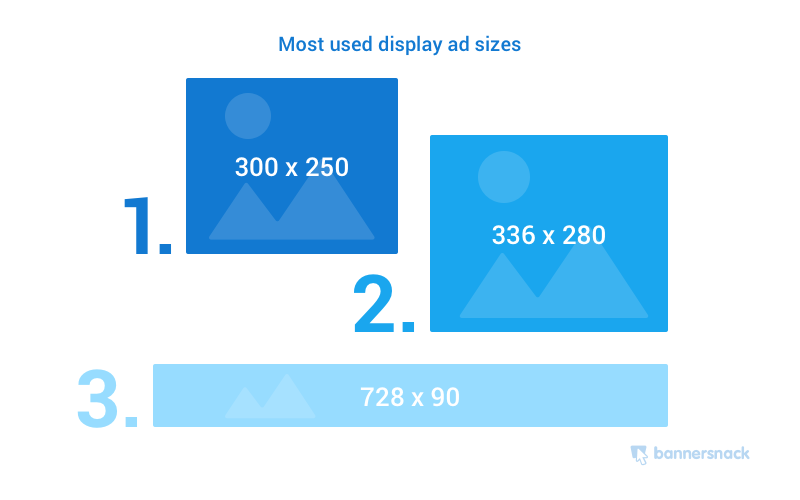 What is the most used display ad size? Are there more than one? What sizes should I choose for my designs? These are three of the most important questions that arise immediately after you decide to invest in banner advertising. In order to be effective, you need to know how to attract your audience. Obviously, everything starts with some technical details. One of these details, the size, always comes first. 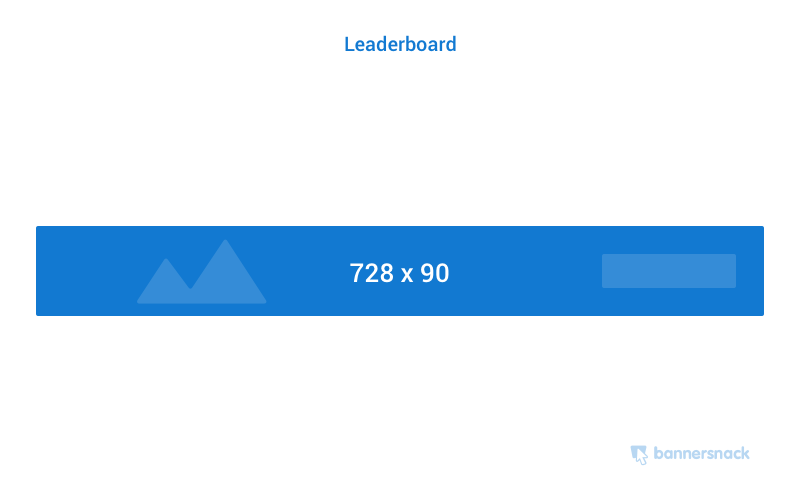 According to our data, out of a large list of standard sizes, there are three banner sizes that make the top of our popularity list. However, regardless of the industry or the professionals that design the banners, there’s a number one choice that is always the same. 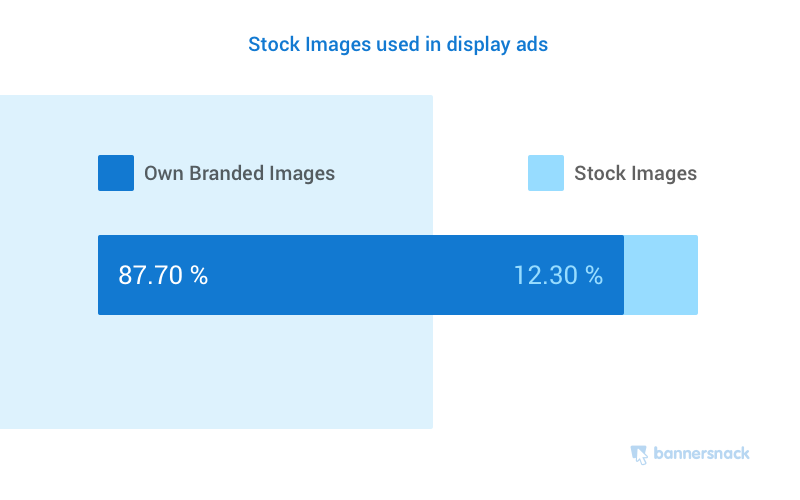 Why is the rectangle the most used type of display ad size? How does a rectangle type banner look like on a web page that has been loaded on a desktop computer and how does it look on mobile devices? We’ve already talked about this size to be the most popular among professionals that engage in online marketing and advertising. In truth, 34% of all ads published online are designed to fit this standard due to the fact that it translates across devices. This means that it looks great and readable on the desktop and mobile devices as well. This is also the most popular mobile format as well. The 300×250 rectangle is also popular due to its shape which allows the designer to properly integrate texts and images without losing in readability. There is a huge inventory of 300×250 banner ads available these days. This is great for designers and marketers who are also looking for inspiration and ideas. Banners of this type also perform great when they are being placed within the text content or at the end of an article. 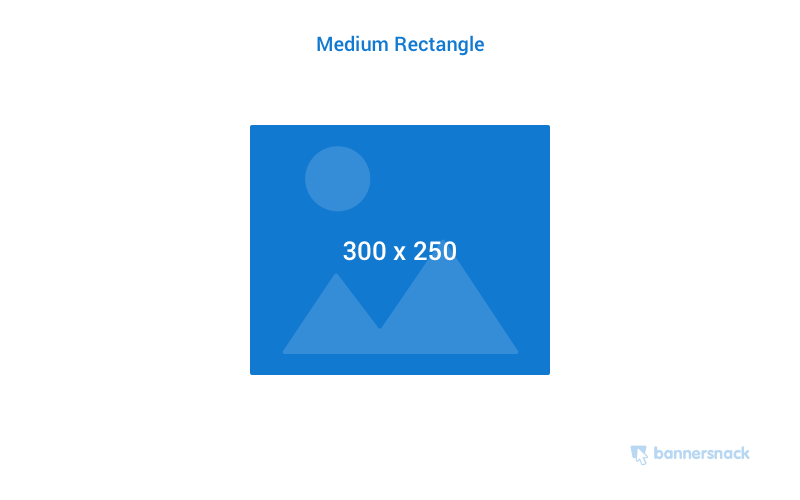 The 300×250 medium rectangle is the most dynamic format. It derives its effectiveness from the fact that it comes with a great readability that is also paired with the fact that it is the most widely available on all devices. In other words, this is the most used display banner format. The aforementioned banner size is not the only one that is popular this year. 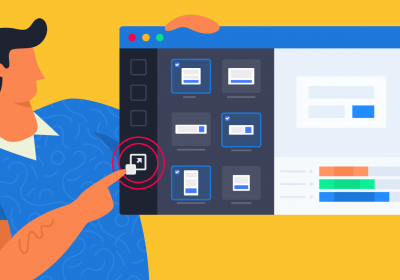 It may be the first choice for marketers, designers, and entrepreneurs but there are other sizes that are popular as well among these professionals. Overall, this format is the second choice and there is at least one good reason for this. It is very effective when placed above the fold of the forum websites or inside the header section of a website or blog. The area is quite effective as the viewer’s focus is immediately drawn to it before reading the headlines or the content. One might be tempted to place such an ad not only at the top of the page but also at its bottom, under the content area and into the footer section. However, according to stats, only the header unit will be successful and as a consequence, worthy of your money. Also, this type of unit is sometimes being used as part of a sponsorship message or as a homepage takeover. This type of ad format is the big brother of the aforementioned 300×250 unit, the medium rectangle. This is a premium format and it is offered as an option by major advertising agencies/networks only. Being larger than the previous, this banner ad gets all its benefits. However, it may come with a better readability due to its larger area which allows bigger fonts and images. The 300×250 unit is able to deliver a high CPM if placed above the fold. Apart from the size, there is yet another technical aspect that should be dealt with before saving and publishing your banner ads. You need to choose your file format and apparently, this will not be a difficult task considering that there are not that many options available. 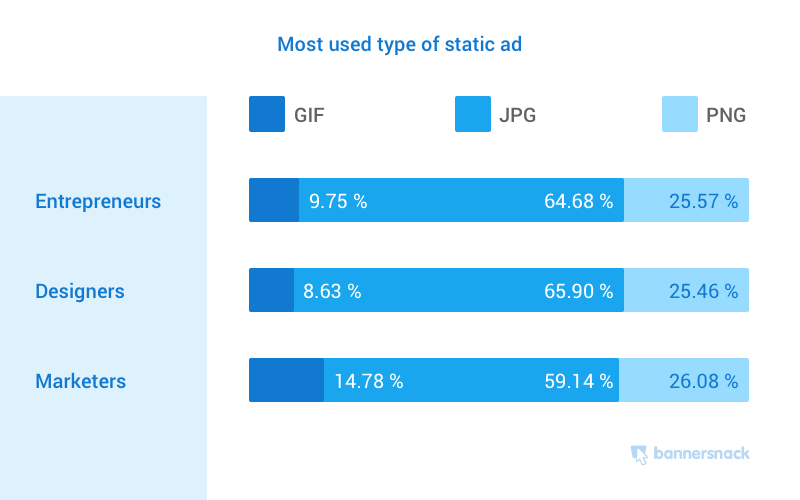 Most of the static banner ads are based on the GIF, JPG and PNG compressions, with JPG being the winner in popularity. There are a lot of banner ad examples available out there and you can browse through other designers’ work in order to understand the differences and see the final results with your own eyes. In order to better understand the trends and make an informed decision, we need to understand the main differences between JPG, GIF, and PNG. A typical JPG file can be compressed at a ratio of anywhere from 2:1 to as high as 100:1 and this is one of the main reasons this compression wins when it comes to web display. 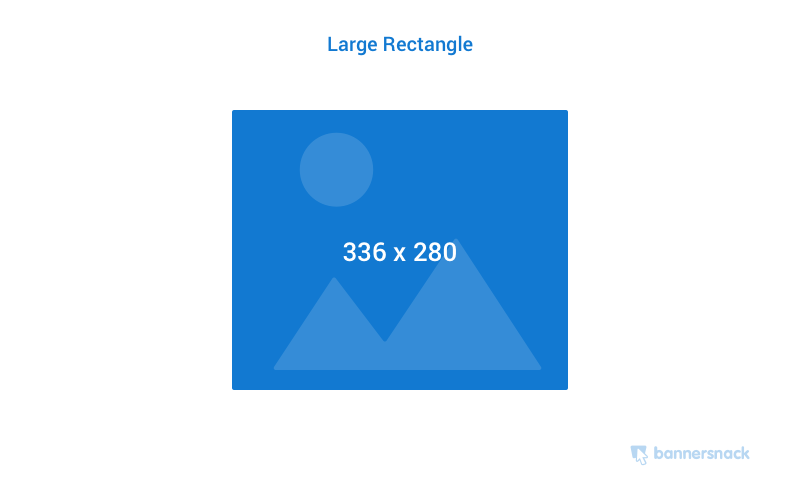 A JPG image or banner can be easily optimized for size and page speed. However, JPG may not be the perfect choice for banners and images rich in typographic elements, as they might look bad due to compression. This is why the JPG format is not recommended also for photographs featuring sharp-edged objects and crisp lines. Technically speaking, the JPG format supports 24-bit RGB and CMYK, as well as 8-bit Grayscale color palettes. We’ve learned that JPG is a great choice for static images due to its impressive compression capabilities. PNG file format, on the other hand, is a great choice for graphics rich in sharp objects, line arts or images that feature different typographies. These are all images that are not based upon colors but the objects and vectors they are made of. PNG was developed as an open alternative to GIF and it supports 8-bit color palettes as well. However, unlike GIFs, PNGs can be also compressed and saved in 24-bit color RGB palettes, just like JPGs, which makes them a better choice in today’s context. PNG is also the best choice for designers and marketers who want to integrate visual elements such as logos into the pages of their websites due to its transparency capabilities. Due to its great compression rate in terms of quality, PNG is highly valued as a non-lossy file format which however works great when you deal only with small files. Banners fall into this category. GIF files are limited to 256 colors, an 8-bit palette only, which means this format is not as good as JPEG and PNG for professional designs. However, GIF makes a good choice for storing line drawings, text and iconic graphics when they are being used in small file sizes. GIFs also support animations and short video clips, limiting every frame to 256 preselected colors. 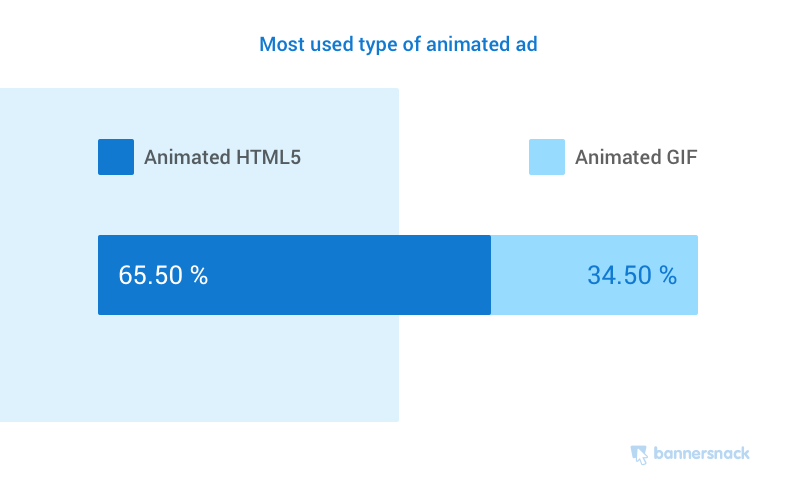 Static ads may prove to be effective for some marketers, but there are many other professionals who invest in designing and publishing animated ads as well. This is not a debate over which banner type delivers the best results. Instead, we are going to focus on the stats that show us the trends of this year’s options based on the type of animated banner. There are several questions that arise at this point such as: What are animated HTML5 banner ads? What are animated GIFs? What are the main differences between the two and why do people choose one over the other? We will try to answer them all, one by one, starting with the definitions. Animated GIFs contain a series of images encoded with the Graphics Interchange Format grouped together in a single file. The frames are presented in a specific order and can be looped endlessly. 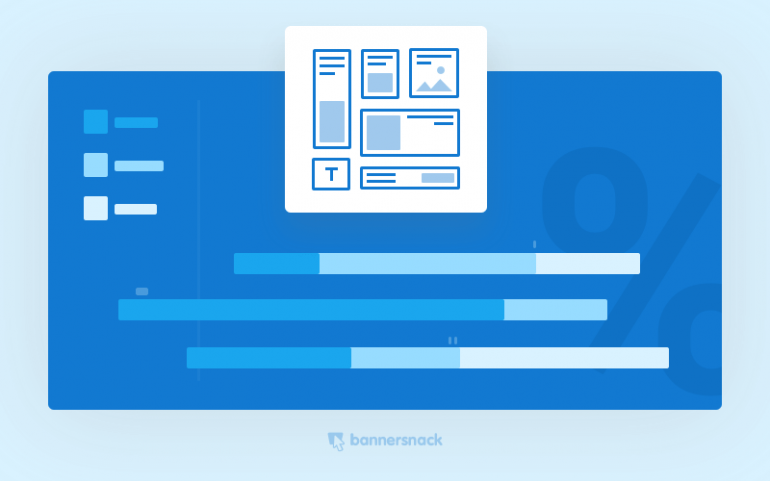 It’s a quick and simple way to present dynamic content inside a web page. Despite the fact that the GIF file format is almost as old as the Internet as we know it, it is still a popular format among regular and professional users as well. GIF banners are in many ways outdated, out of style and inefficient, but as we can clearly see from the data unveiled above, there is still over 34 percent of the marketers who still consider using them. Two decades ago, GIFs were the main choice, their small file size being the perfect option for the slow internet connections available back then. Over the years, they were in many cases replaced by Flash banners at first and HTML5 banners later. While Flash technology satisfied the marketer’s and the viewer’s appetite for visual quality, it lacked in something that proved to be decisive: compatibility. Thus, HTML5 became the new standard for professional marketers and we can see clearly that it has been widely adopted, with more than 65% of the professionals using it today. GIF files are limited to a 256 colors palette while HTML5 banners are not. The consequence is that the latter looks better and more stylish, which is very important when it comes to marketing and advertising. The size may be an issue as well. GIF files need to be locally uploaded and hosted on a server. HTML5 banner ads can be embedded from a cloud-based storage. As you may already know, all HTML5 banners created with Bannersnack are stored online on the Bannersnack account. In HTML5 banners, the designer may embed rich media content such as actual video clips and audio streams. HTML5 banners are mobile-friendly and responsive. They adapt easily to the different types of display, a feature that is essential in today’s context. Another important thing you need to consider when you create your digital display banners is the typography that is going to be used in order to convey your message. This is an important decision to make, considering that the message itself and the CTA need to be legible, easy to understand and easily readable. Also, they need to be in line with your own visual image, the branding and the style of your visual marketing campaign. As a consequence, you need to choose the best and the most appropriate banner fonts for your designs. 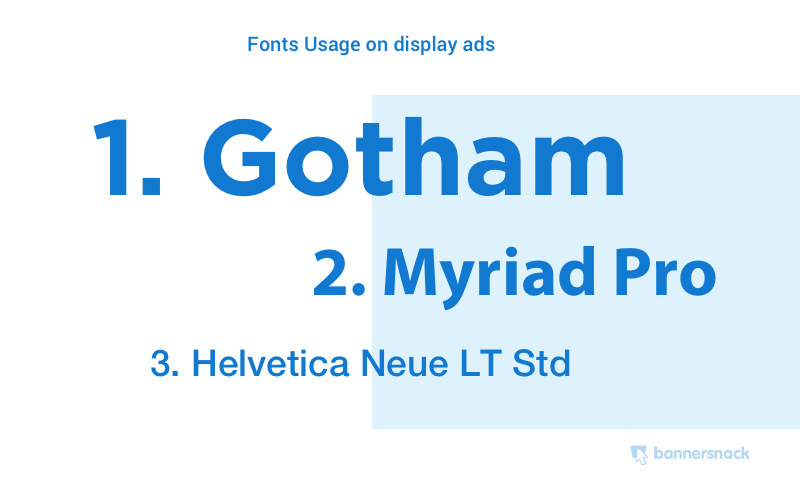 Why are Gotham, Myriad Pro, and Helvetica Neue LT Std the primary choices? Where can they be used? Well, as you can see from the image above, these typographies are all readable and stylish-looking. They are a great combination of classic and modern, and they are able to convey a clear and legible message regardless of the size of the font being used. 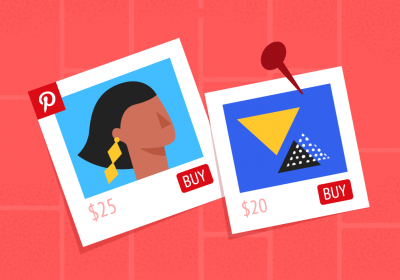 When it comes to visuals, there are two options for everybody, regardless of their profession. You can either choose to use stock imagery or, if it is the case and your resources allow it, your own branded images. According to trends, branded images win by far, making the top choice for over 87% of marketers, designers, and entrepreneurs. Why are branded images the best choice? Branded images allow you to be more visible to your targeted audience. If they already know you, they will instantly recognize your visual elements from the banner and as a consequence, pay more attention to your offer. Even if you are just starting with your company, branded elements will allow you to build awareness of your brand and familiarize the audience with it, visually speaking. Branded visuals add more originality to your message. There’s a good chance with stock images that they were already used by other brands or individuals and the audience might recognize your lack of imagination. It’s easier to show consistency and professionalism through branded, original images. You will certainly need to invest more, but the results may prove to be better than those triggered by unrelated, generic stock images. What about the design itself? What do people choose? Do they base their designs on existing templates, or they prefer actually designing everything from scratch? This option is strongly related to the choices we’ve discussed in the previous paragraph. Originality is strongly valued among professionals and their targeted audience as well and therefore, entrepreneurs, marketers, and designers choose to create their banners from scratch and not from the templates they have at their disposal. For instance, you can even expedite your work and still create everything from scratch without using any templates. Regardless of your type of work, in order to be effective and efficient, you need to stay true to your times and be contemporary with your work and your peers. This is even truer when you deal with an audience or when you need to convey a message to an audience in order to be successful. Therefore, the marketing and advertising industries are always bound to adapt to the trends of their times and to the whims and behaviors of their audiences which are most of the times influenced by these trends. 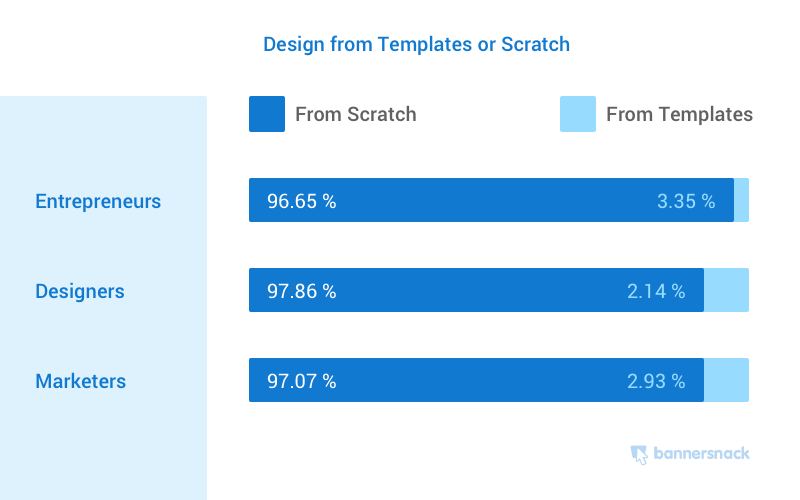 This study was conducted in order to help marketers, entrepreneurs and designers get a clearer view of today’s banner ads design market and as a consequence, help them adapt easier to the expectations of their audiences. What do you think about these numbers? Are there any other trends you might have noticed during the last months? this is a nice post. the discussed process is so good. Great information. I appreciate the data and will incorporate the info to improve my banners! I believe animated PNG is also possible. This really a nice article of you. I have enjoyed writing very much. As per my own observation, 300×250 ads are really performing better than other ad format and Jop is the best chose.